As the U.S. Senate prepares for votes Thursday on separate Republican and Democratic proposals to end a partial government shutdown, President Donald Trump has resorted to rhyming and prayer to advance his case for a wall along the U.S.-Mexico border. 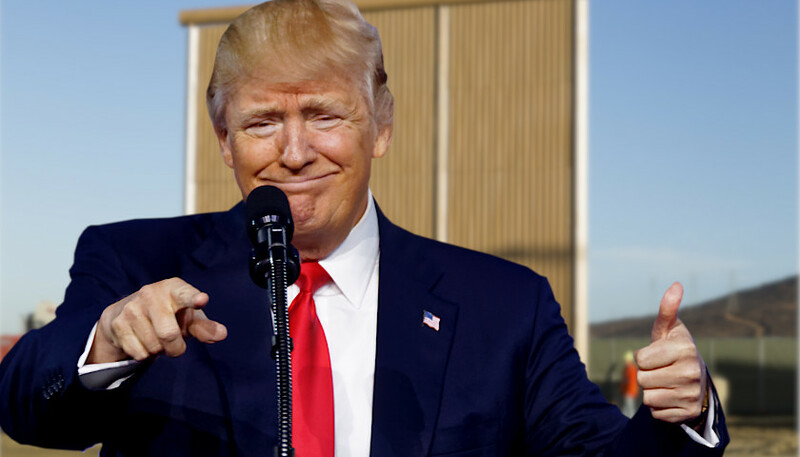 Trump’s latest remarks on his proposed wall came after the Democrat-led House of Representatives passed a bill that would provide stopgap funding through February 8, allowing the shuttered agencies to reopen while the two sides debate border security. It does not contain money for Trump’s desired wall at the U.S.-Mexico border. Pelosi said there is “no excuse” for Senate Republicans to not support the bill that has already passed the House, noting they previously supported similar legislation. “I do believe it is a proposal that deserves to be treated seriously,” Virginia Sen. Tim Kaine said, adding that the bill should go through committee and be subject to amendments by senators of both parties in order to attract bipartisan support. Photo “Donald Trump” by Michael Vadon. CC BY-SA 4.0.